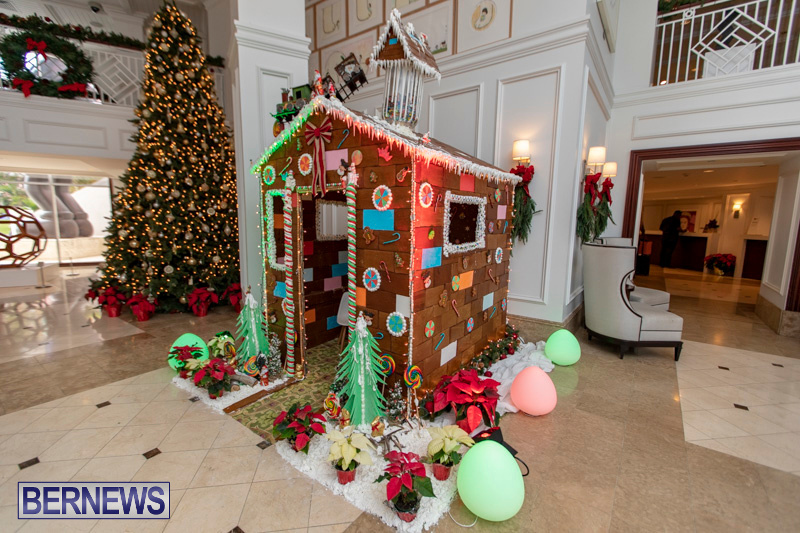 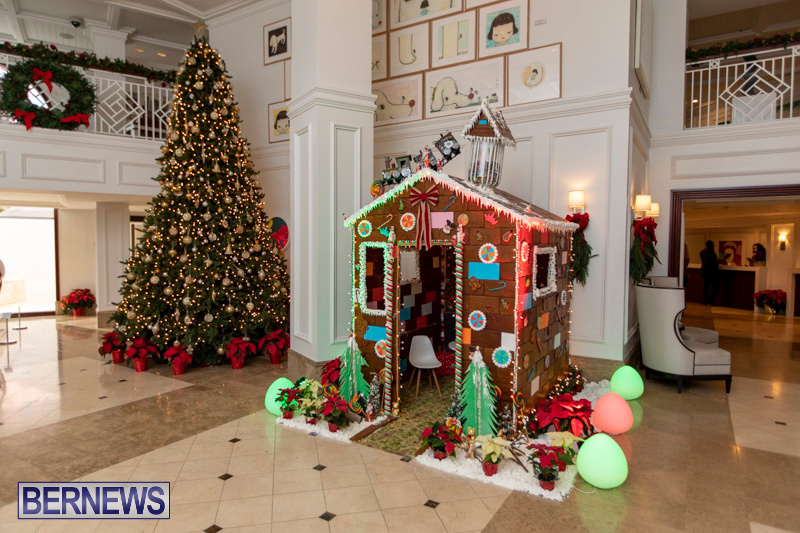 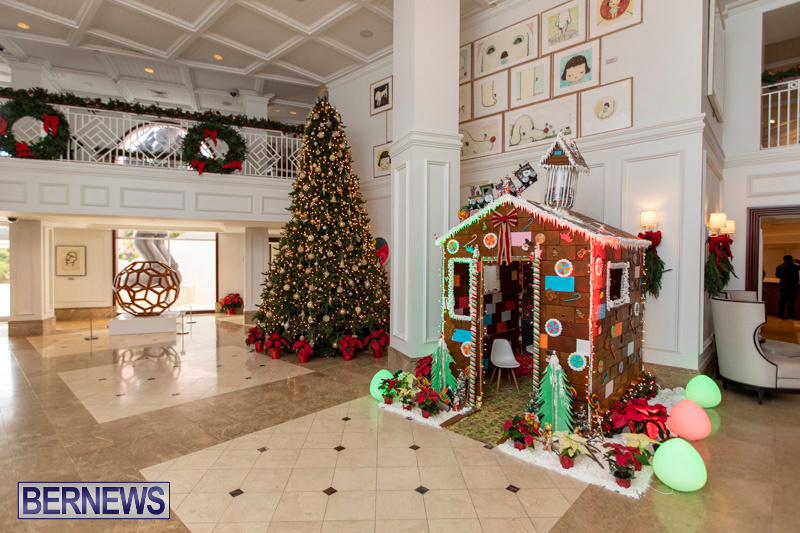 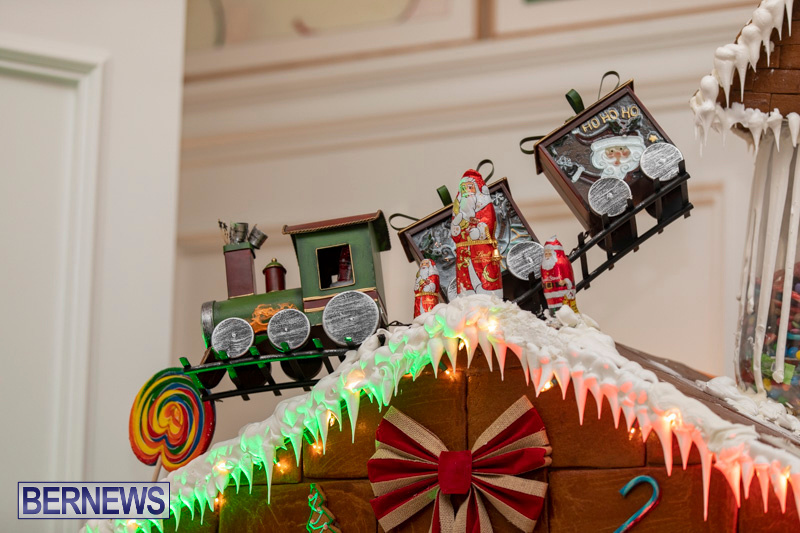 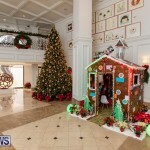 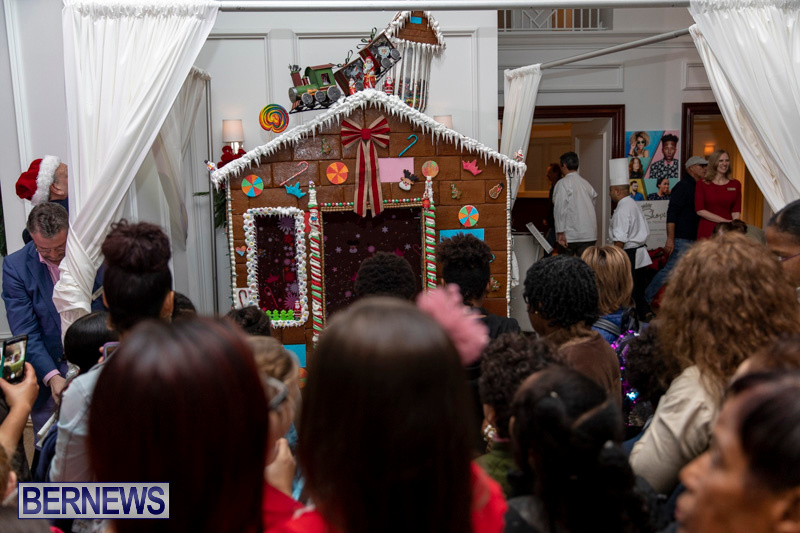 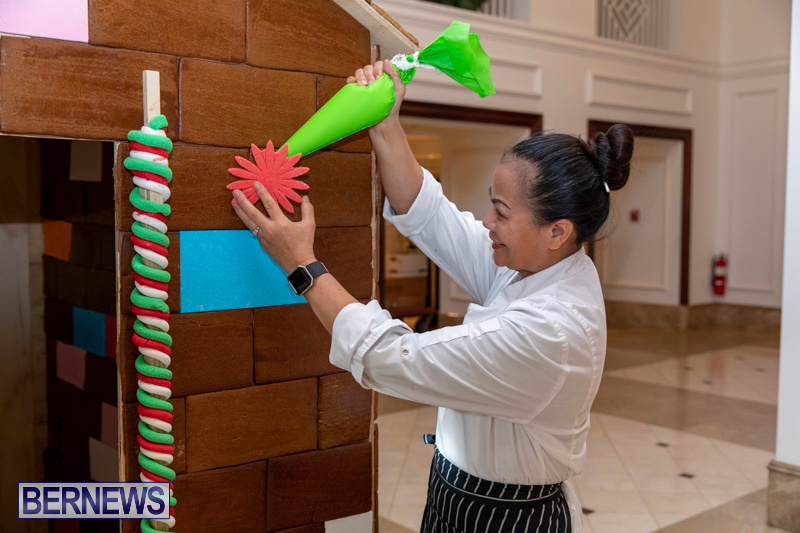 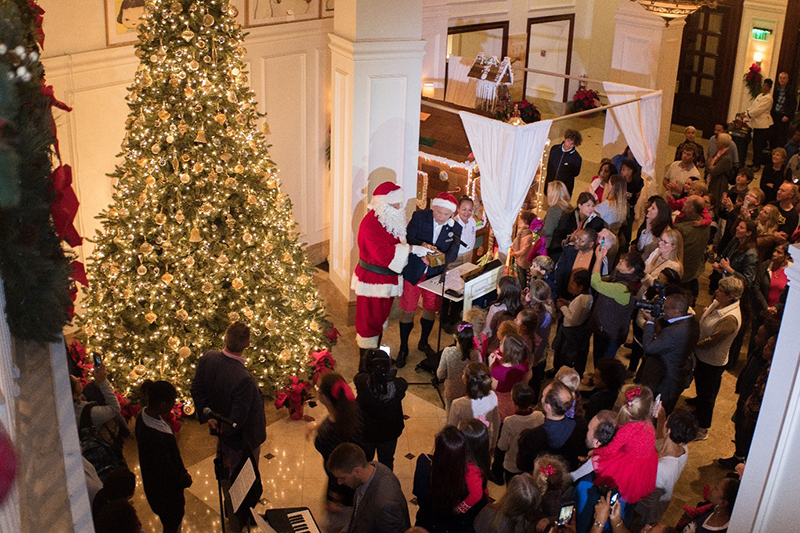 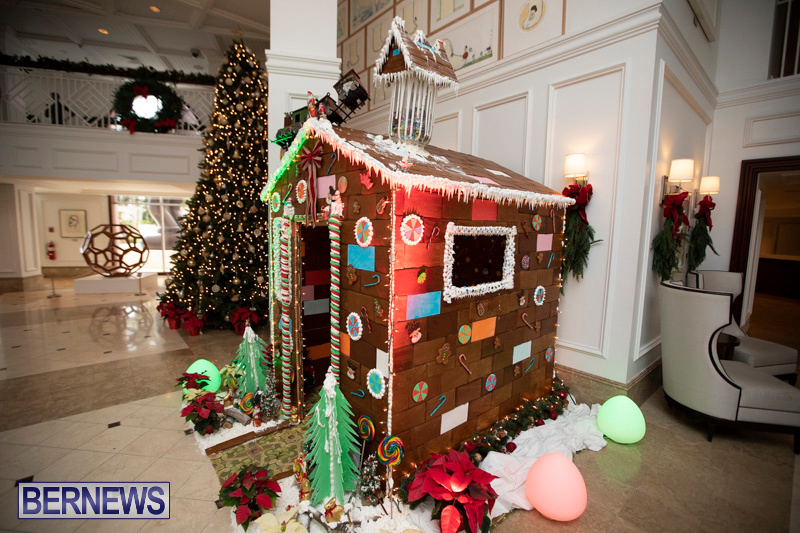 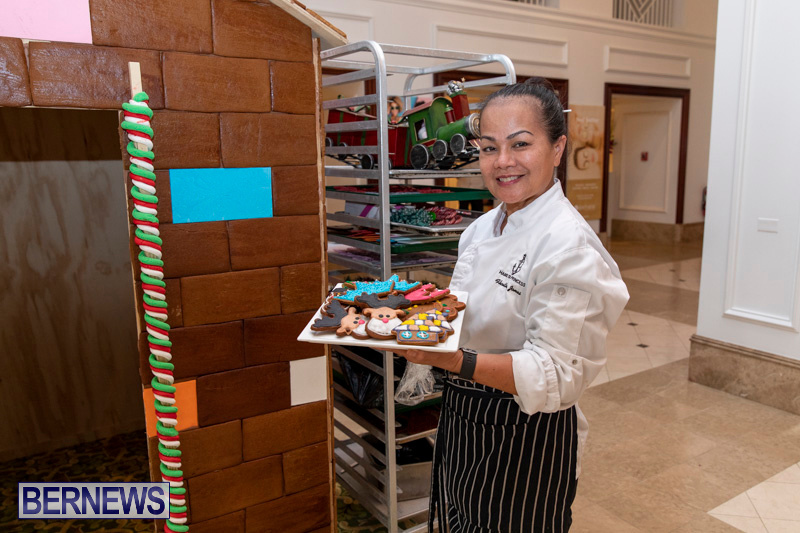 The Hamilton Princess & Beach Club’s pastry team have unveiled their super sized Gingerbread House in the hotel’s lobby to celebrate the holidays, hosting a special event this past Friday to unveil the culinary creation. 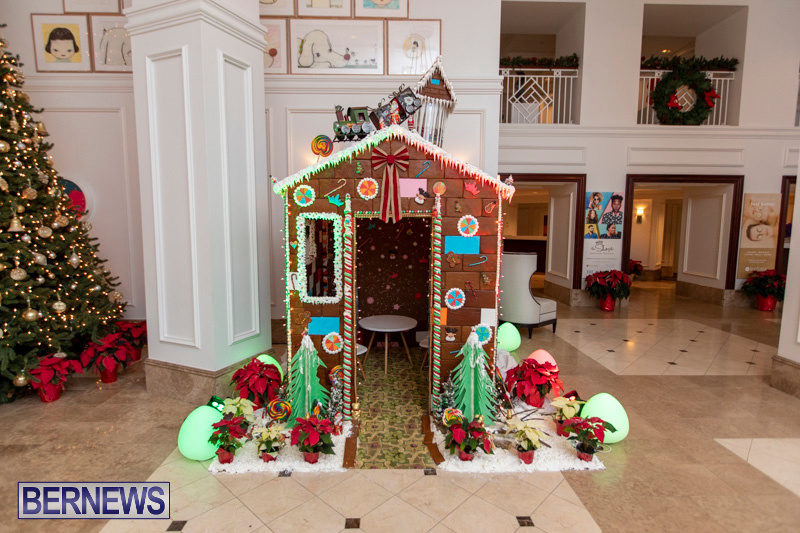 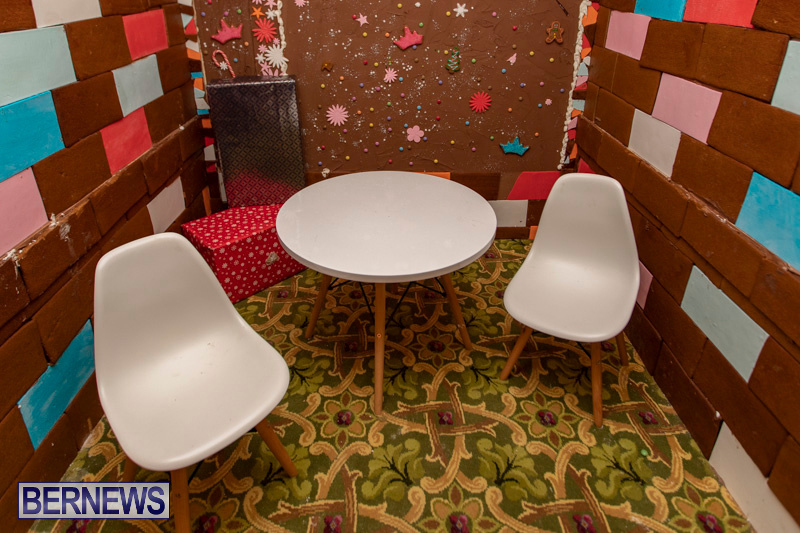 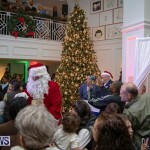 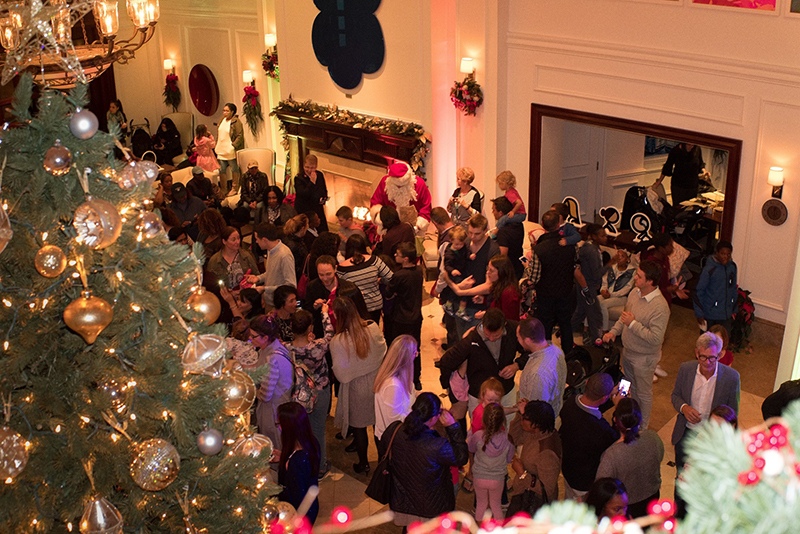 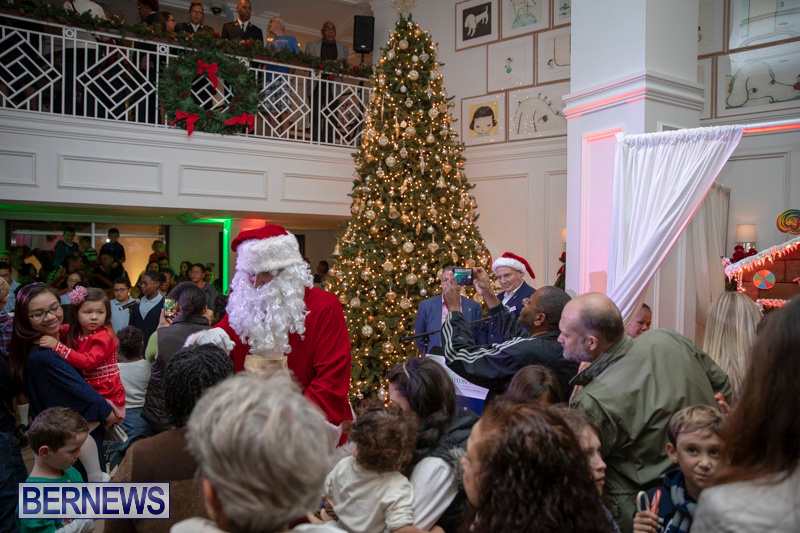 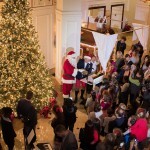 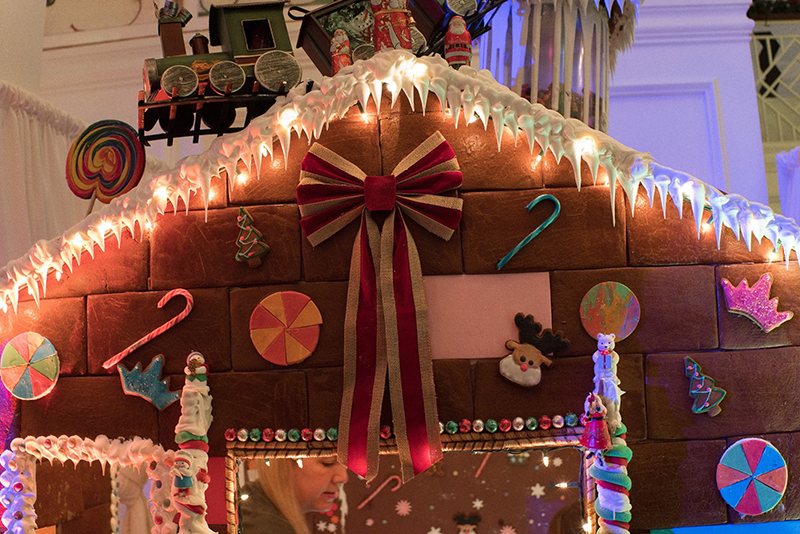 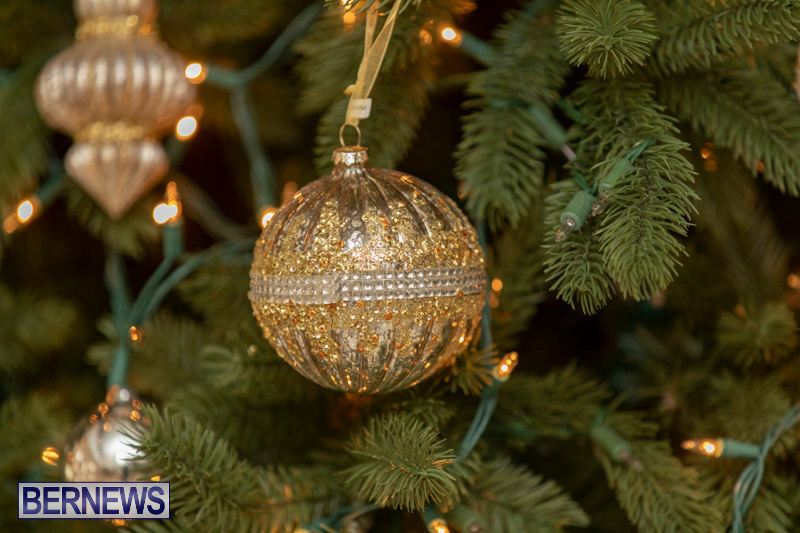 At 7ft tall, 5ft wide and long, this year’s creation is large enough for several children to enter at once and is the biggest Gingerbread House to date at the hotel. 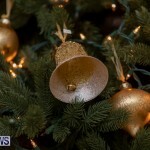 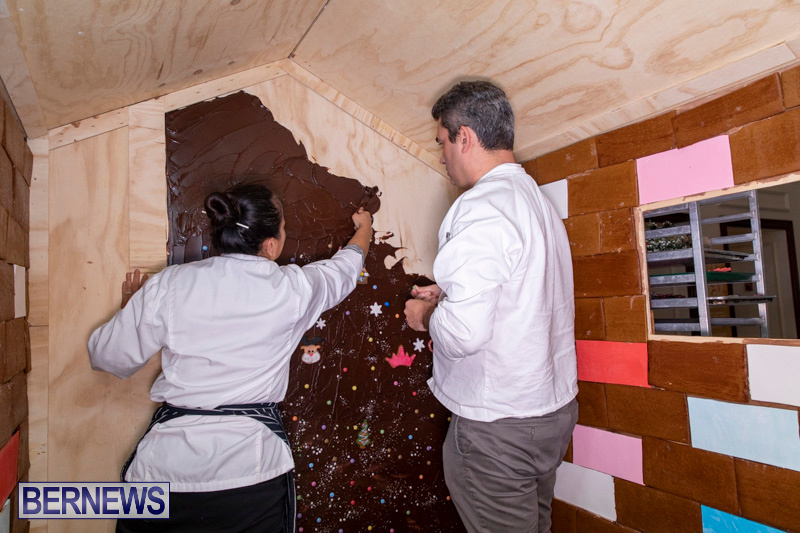 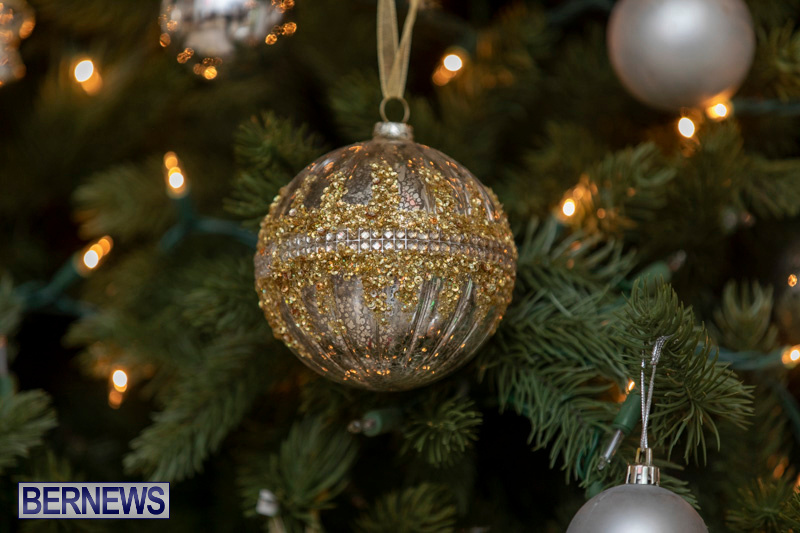 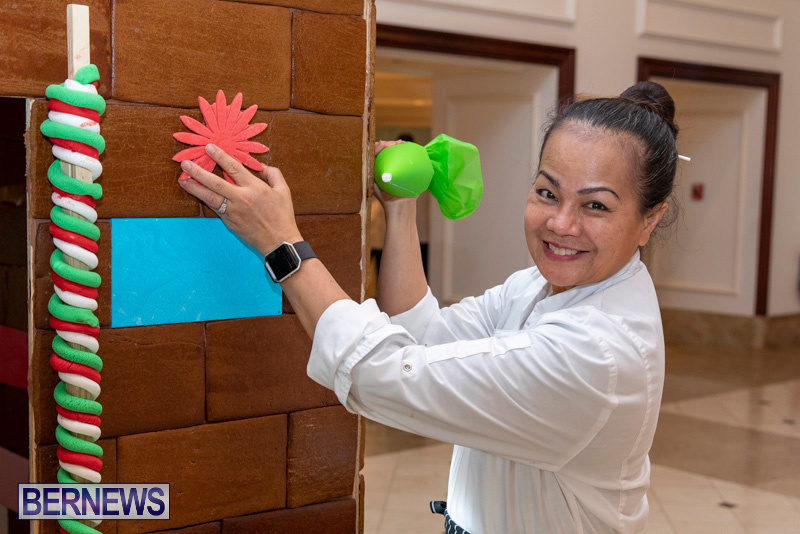 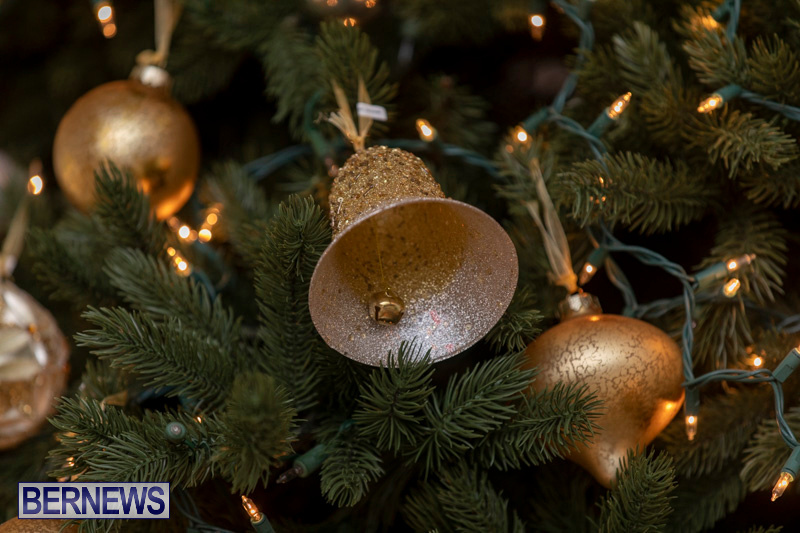 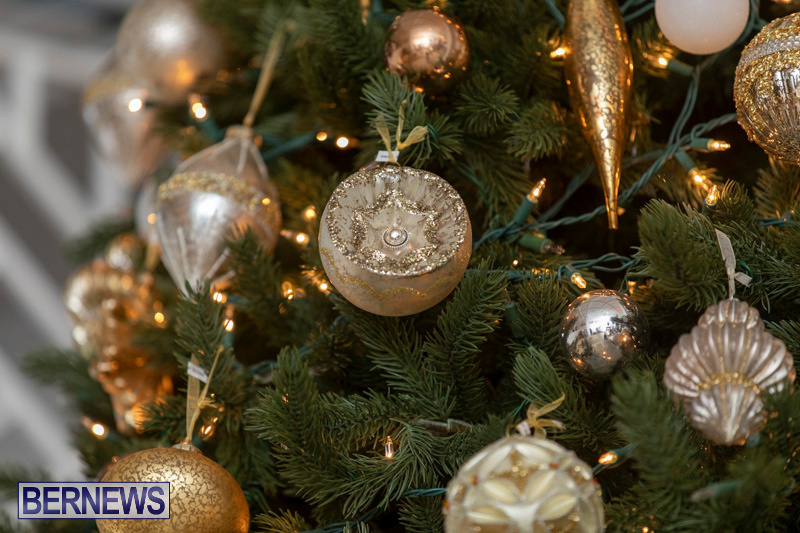 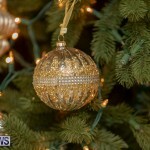 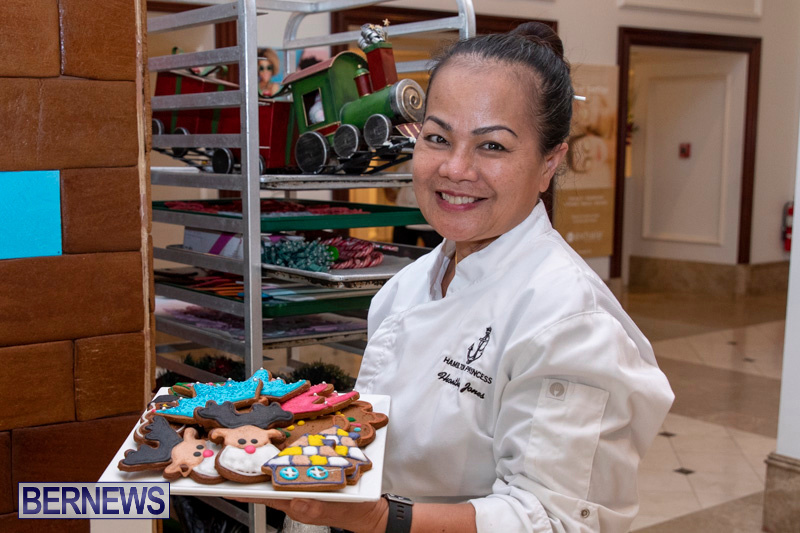 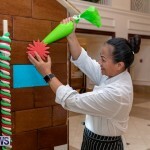 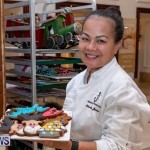 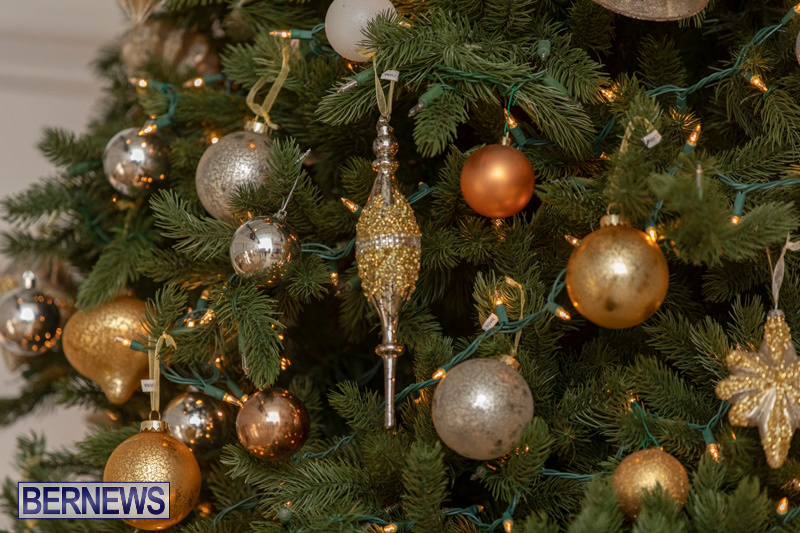 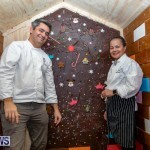 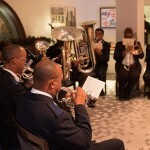 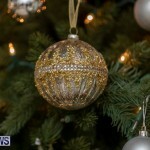 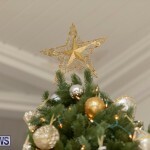 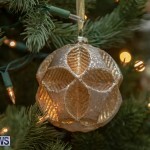 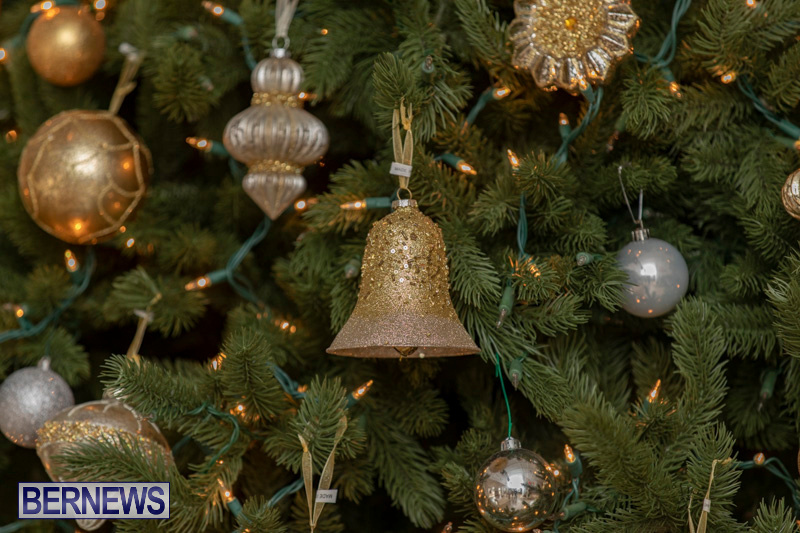 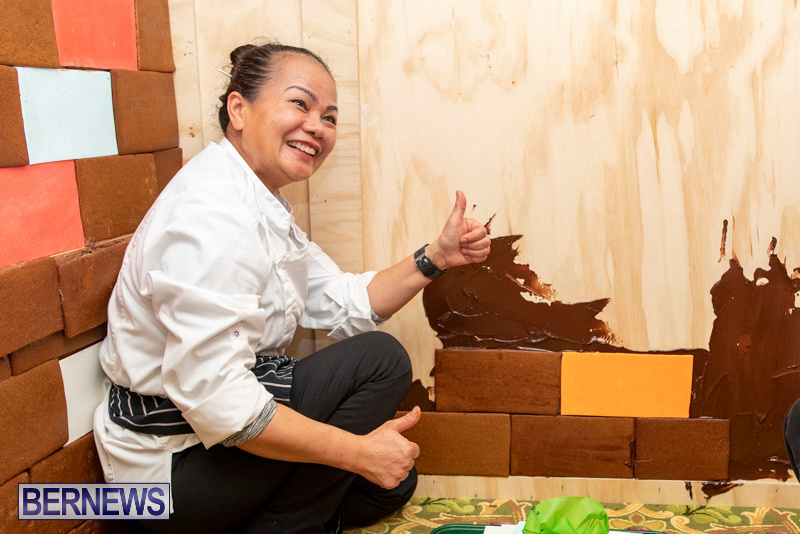 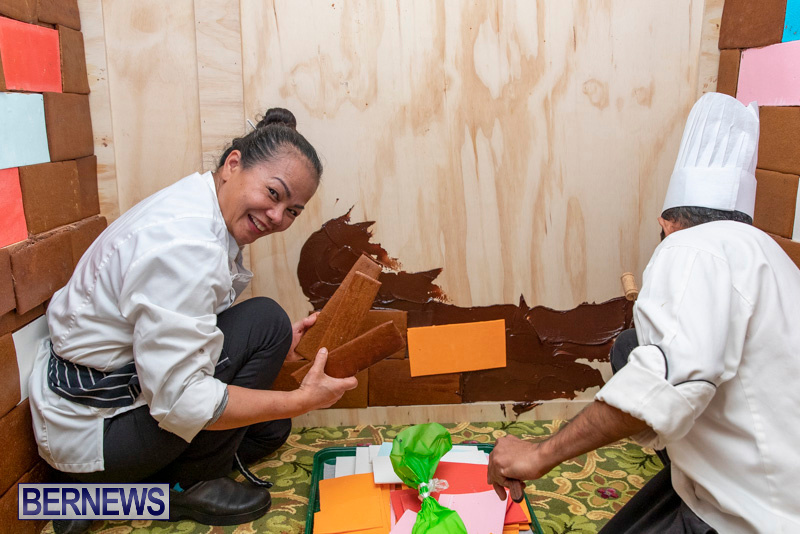 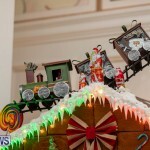 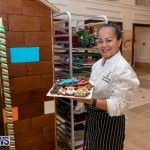 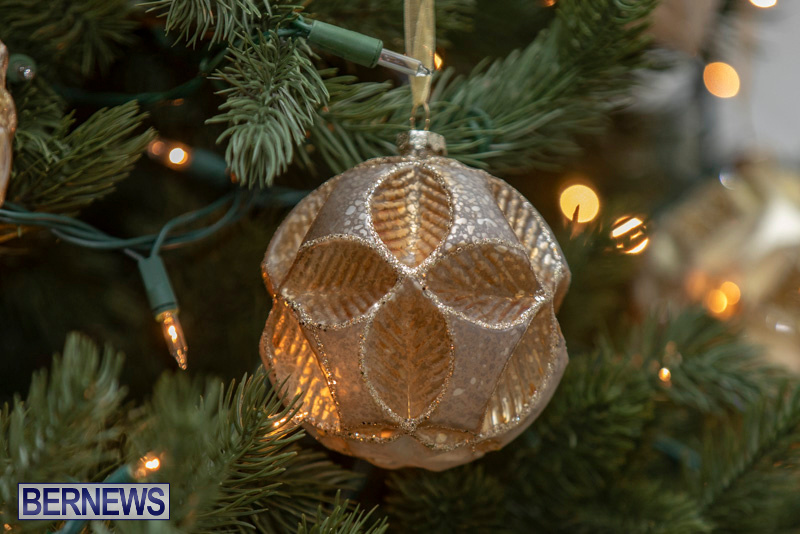 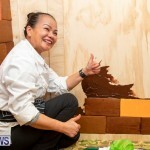 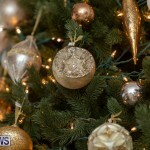 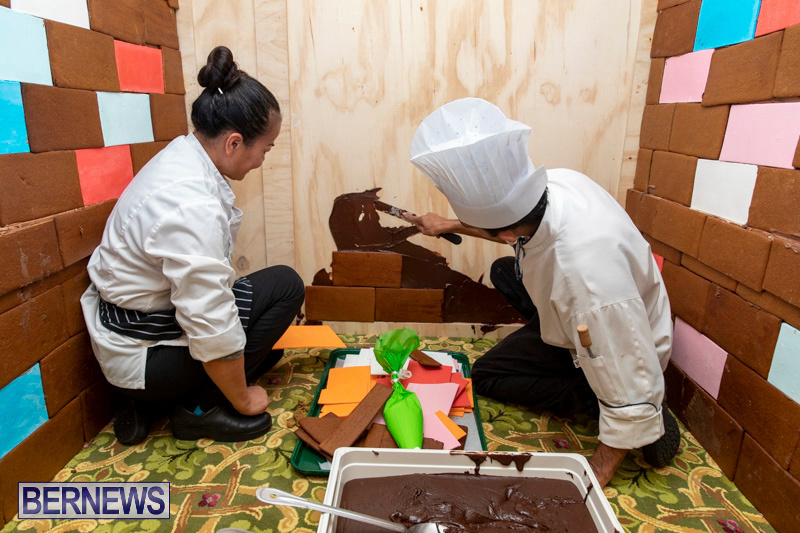 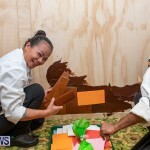 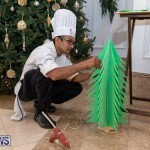 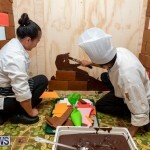 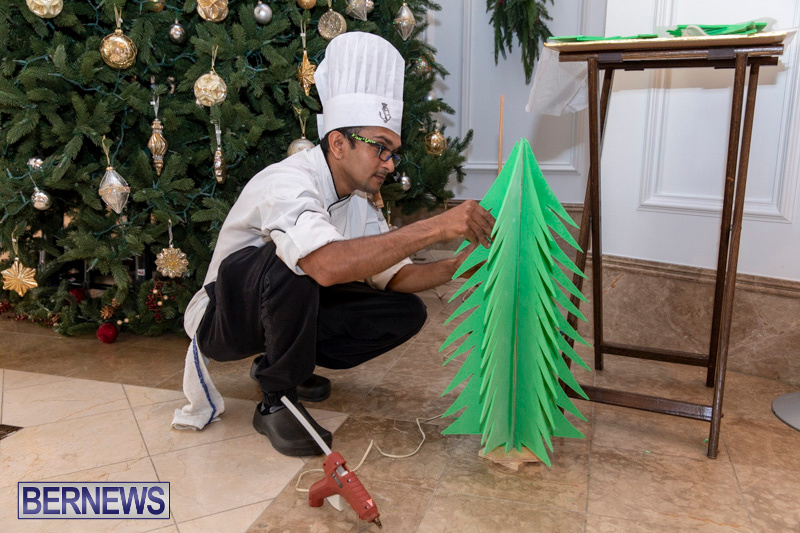 The baking and construction of the piece, led by Pastry Chef Fhonthip Jones, involved twelve members of the pastry and engineering teams at the hotel and took two weeks to complete. 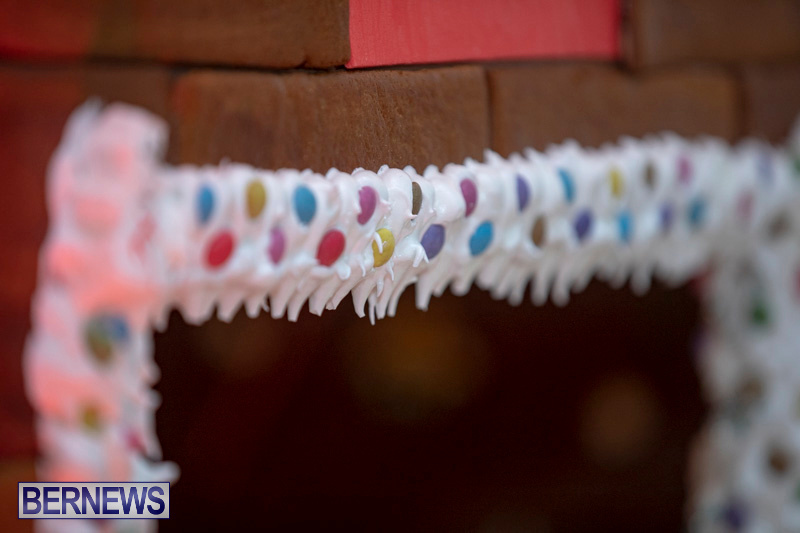 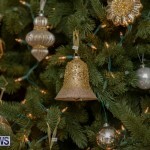 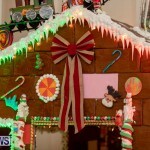 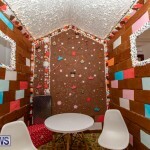 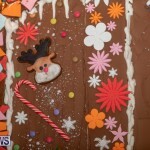 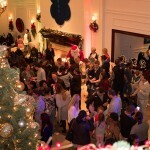 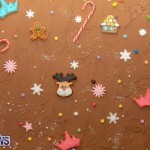 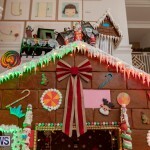 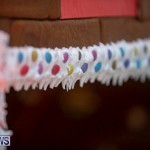 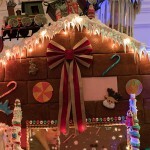 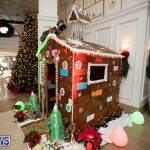 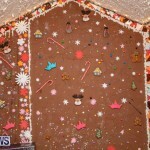 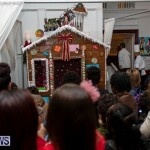 The Candy Gingerbread House is made from 550 tiles of gingerbread and weighs approximately 360lb. 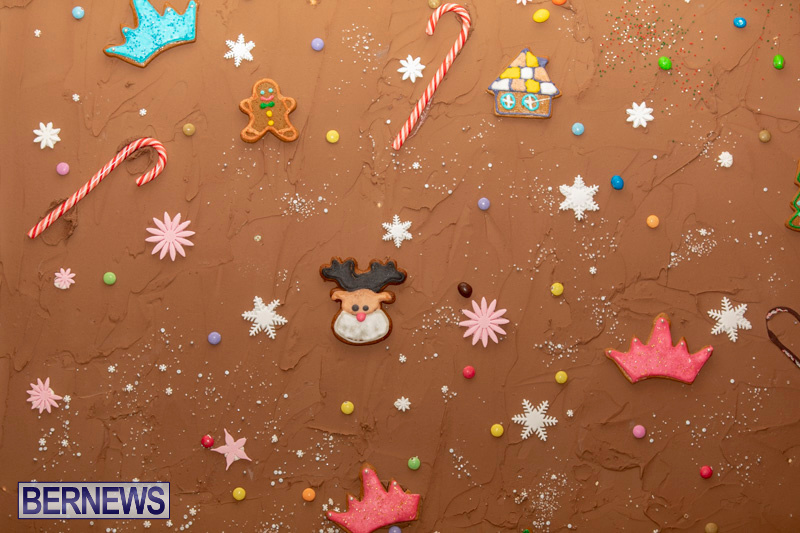 The tiles of gingerbread are made from a special recipe including icing sugar, flour, eggs, shortening, molasses and a secret blend of spices which combine to create a sturdy and intensely scented structure. 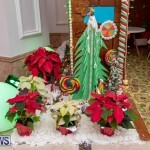 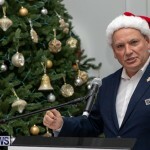 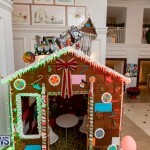 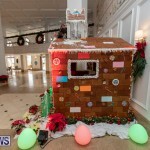 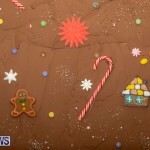 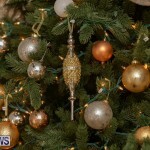 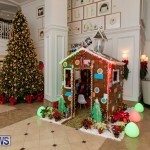 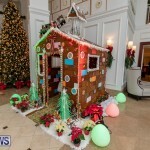 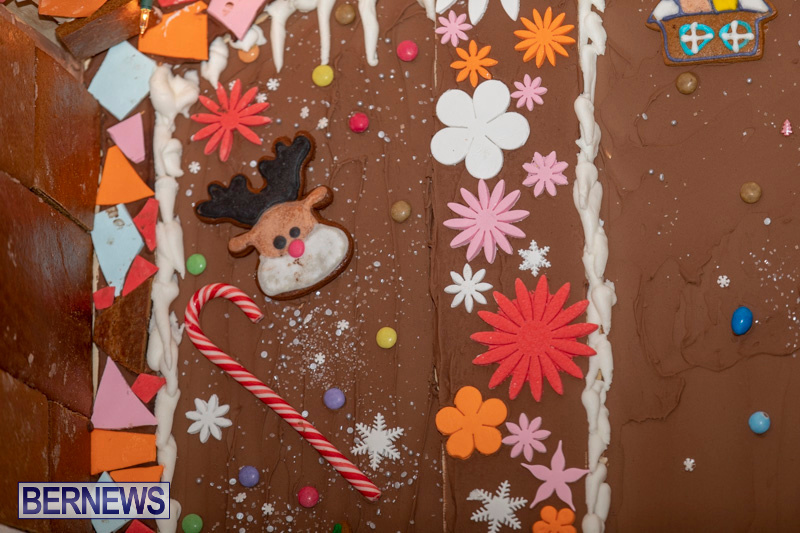 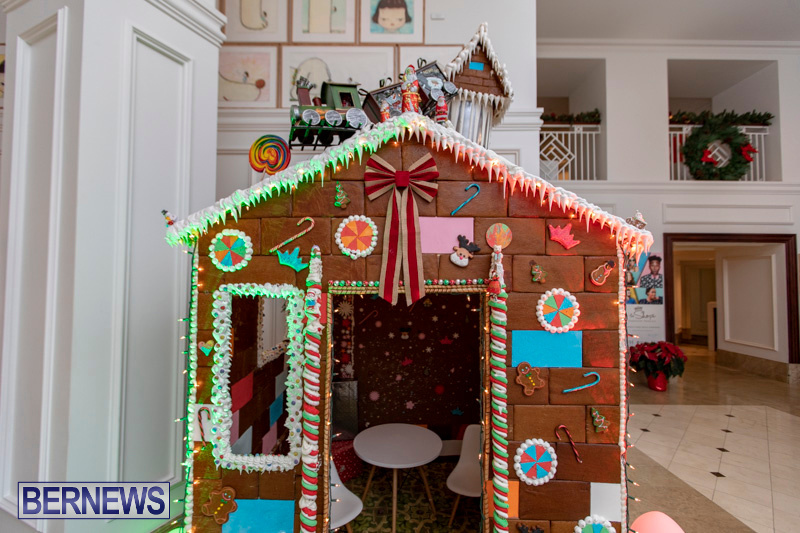 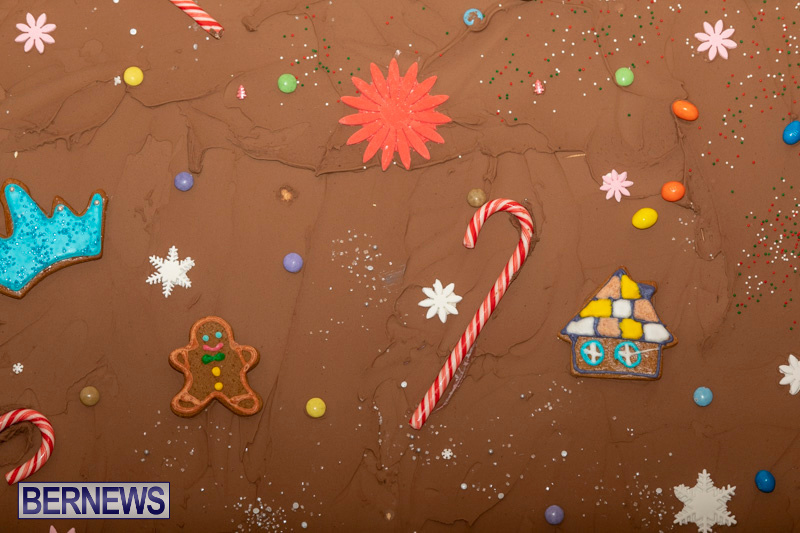 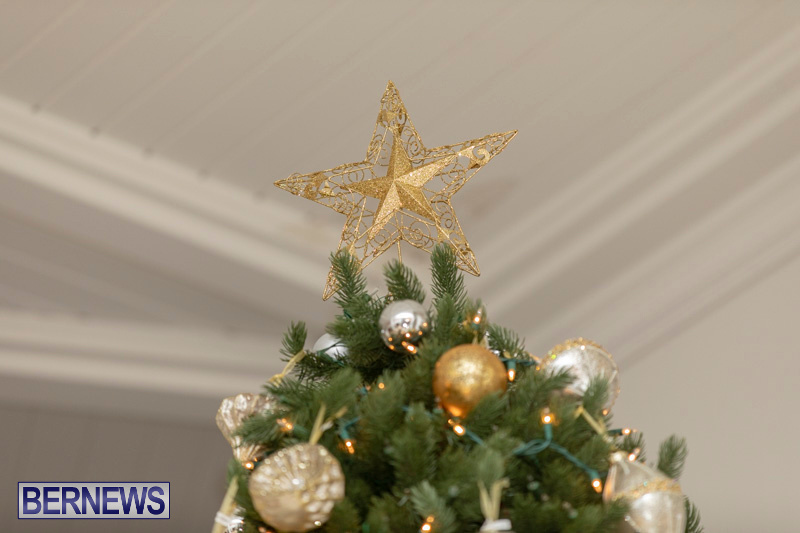 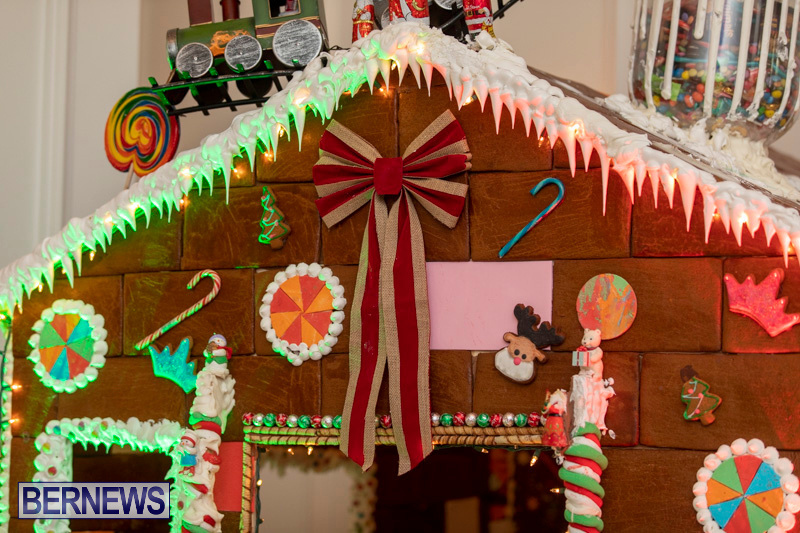 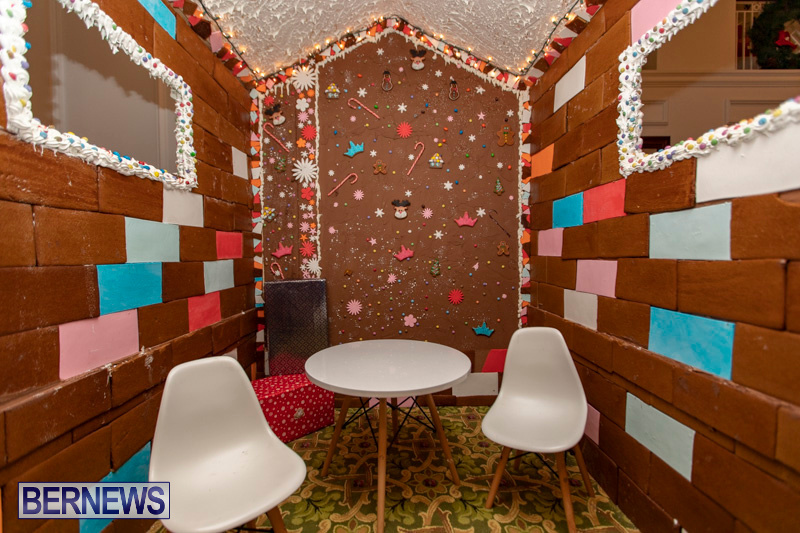 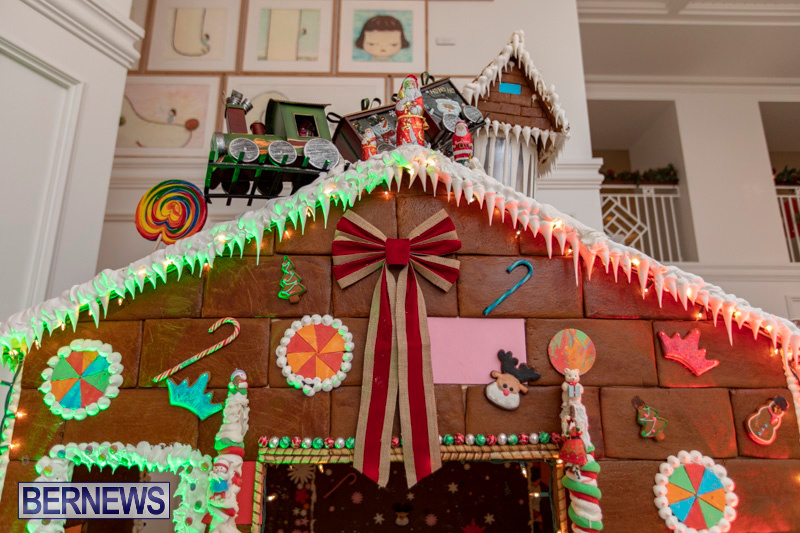 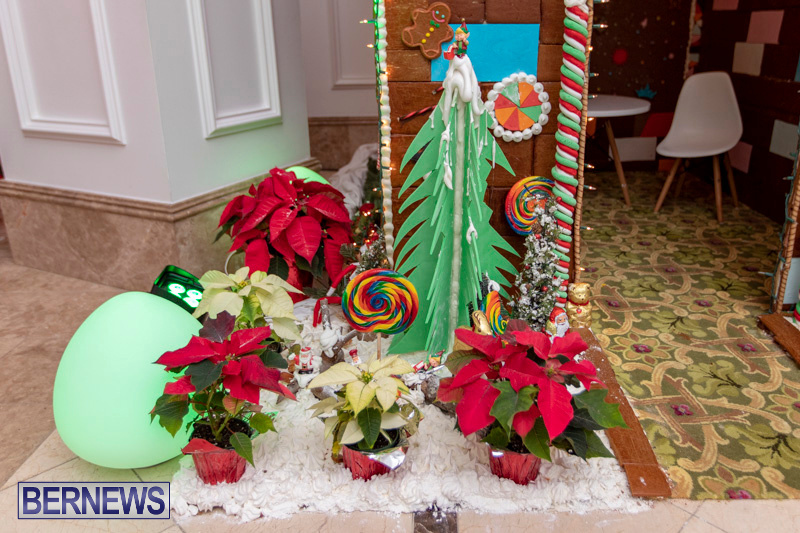 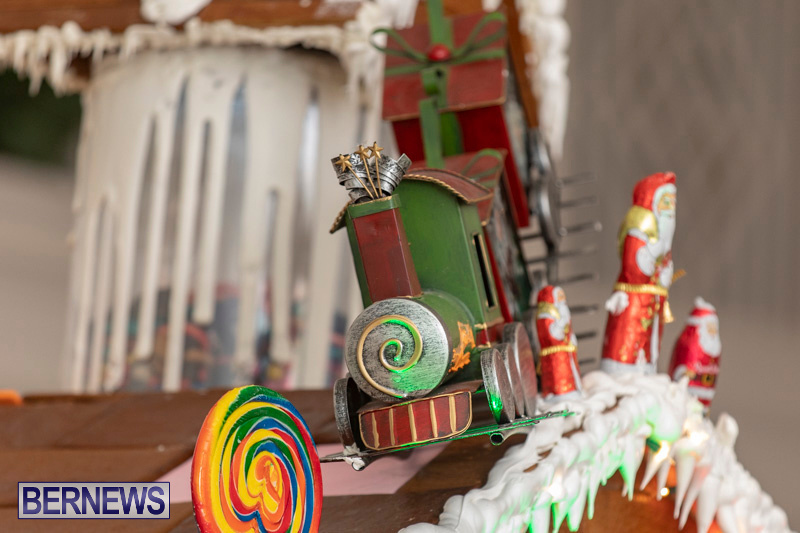 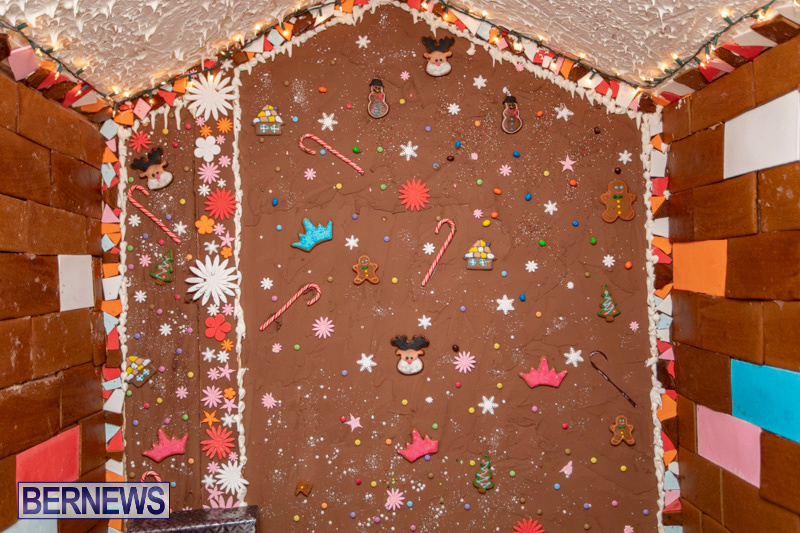 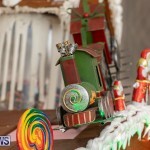 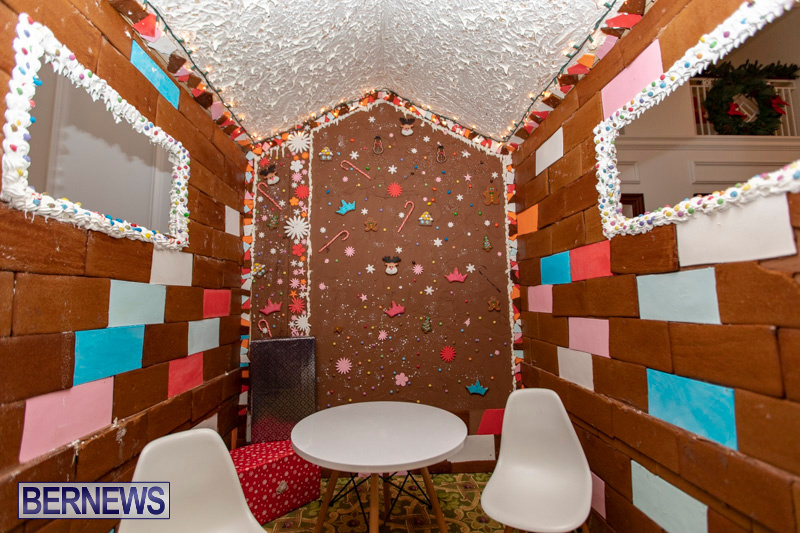 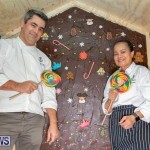 The outside of the Candy Gingerbread House is decorated with a wide varieties of confectionaries and cookies, sure to give anyone who sees it sweet-tooth, and features a traditional Bermuda chimney. 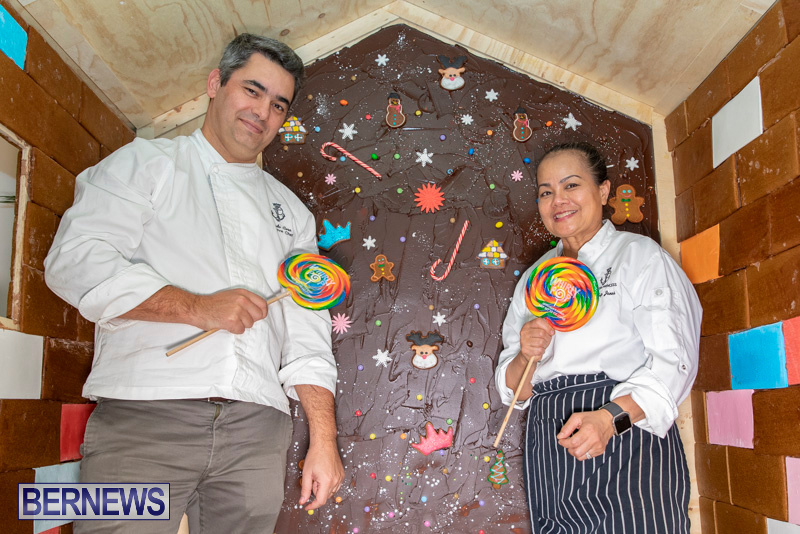 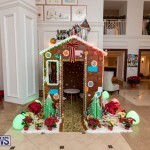 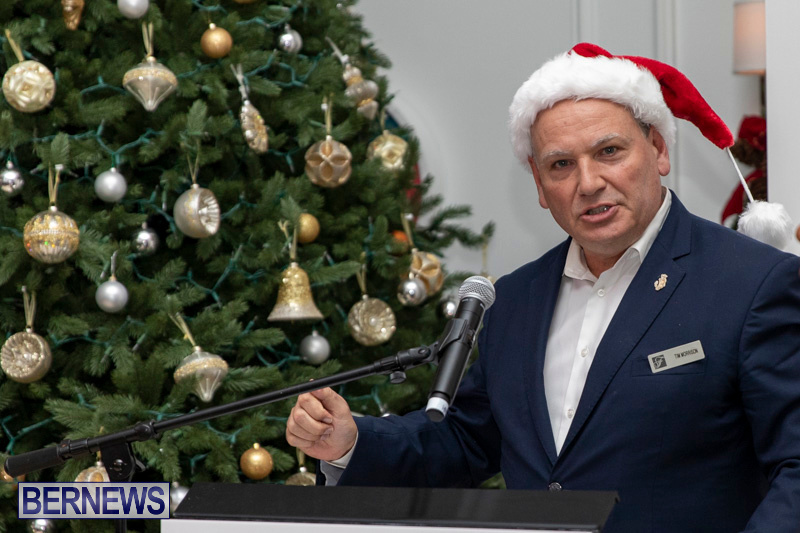 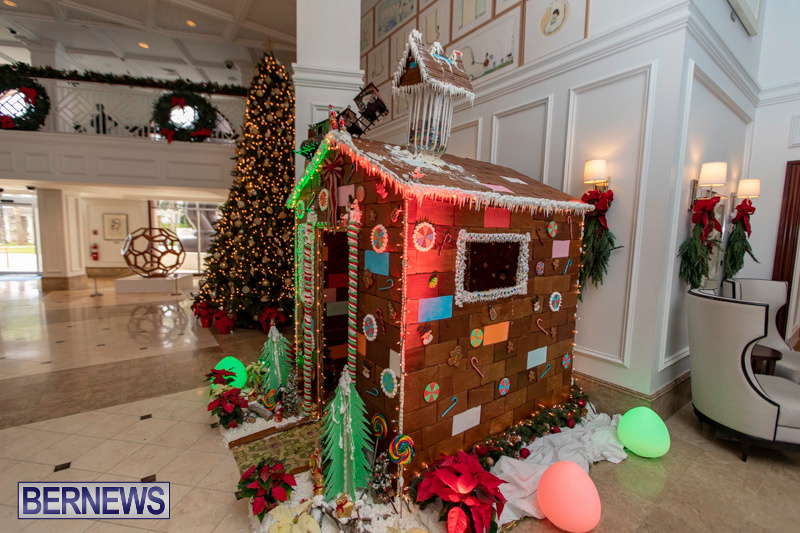 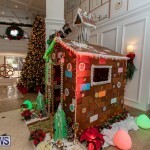 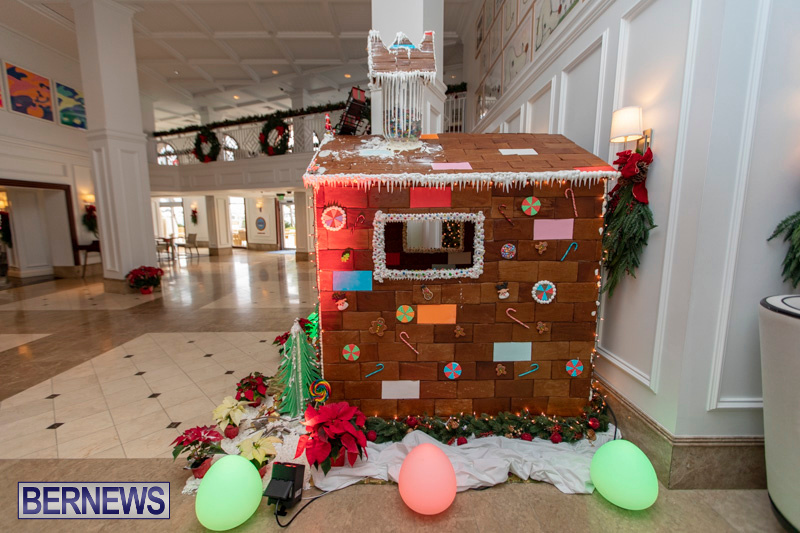 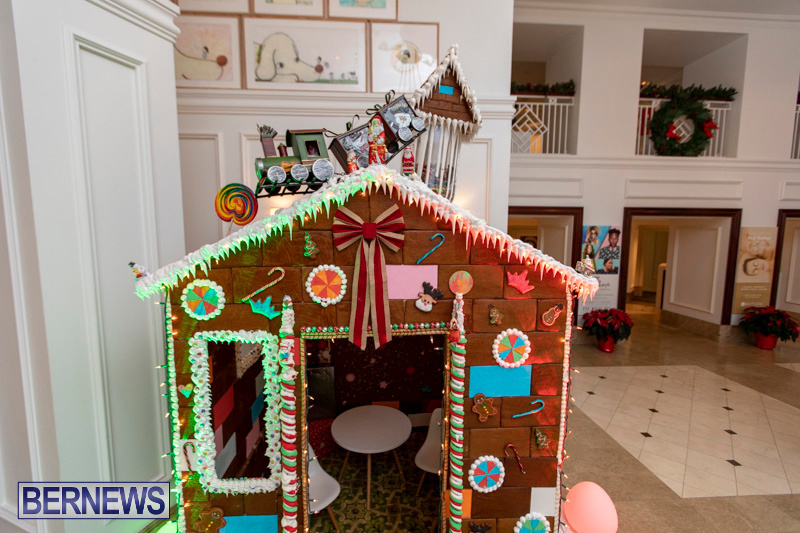 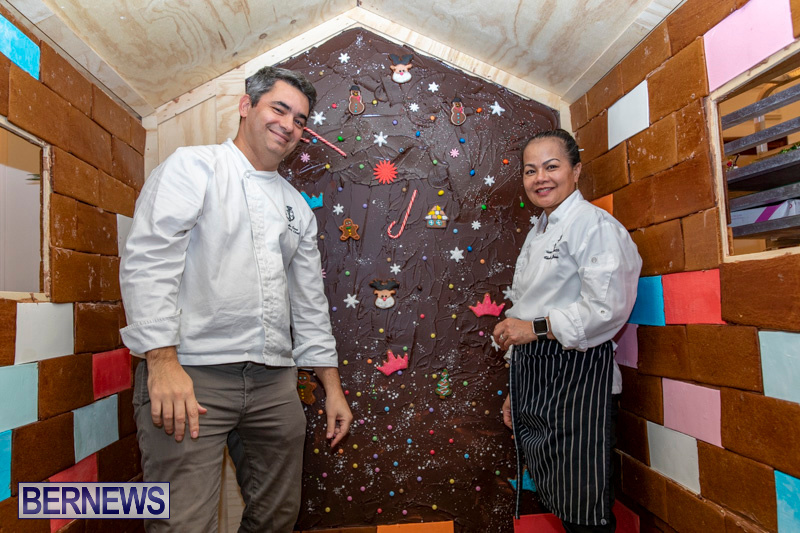 Ricardo Cera, Executive Chef at Hamilton Princess & Beach Club, said: “We’re thrilled with the way that this year’s Gingerbread House has turned out, bigger and better than ever.